Click on the links below or scroll down to view and play the bhakti tracks online. Agna Bhakti, is a collection of prose and poetry about the highest form of love, selfless devotion. Love is the very heart, the very essence, of devotion. Love inspires, motivates, purifies, elevates and ennobles us. This poetry explores and celebrates the impact of love. It is in this sublime love in the form of faith and devotion towards the True God, True Guru and True Dharma, that lies the path to Moksh. Read more about Agna Bhakti by clicking here. Following a request from Shree Saubhagbhai of Sayla, Shrimad Rajchandra composed the great Atma Sidhi Shastra in the town of Nadiad, Gujarat. The 142 verses emerged in one sitting of less than 2 hours. This composition explains the Jain path to Moksha. Besides being highly spiritual, it is also a classic of Gujarati literature and has been the subject of numerous translations, commentaries and is also studied at universities for doctorates in philosophy even today. In the year 2000, in remembrance of 100 years since the passing of Shrimad Rajchandra, Shree Raj Saubhag Ashram celebrated his deeply spiritual poetry in the tracks below. Along with this they celebrated his life story in a book and exhibition called 'Pinnacle of Spirituality' which you will find in our Library section of the website. From the ancient cultures of the East to the present time, the great Poet Seers have reached beyond cultural and social divisions to inspire and uplift the human consciousness. The lofty utterances of these poets represent the universal yearnings and realizations of all humanity. Poems describing the distinctive and unique characteristics of the soul sway the hearts of the self realised saints. The joy, the ecstasy that they experience is so brimming and boundless that it inspires many soul seekers. Irrespective of the philosophy espoused by them the inner experience of different self realised saints is identical. In his youthful days Reverend Bapuji [Shri Ladakchand Manekchand Vora], was stirred by such exemplary spiritual poems [pads]. On deep contemplation of them, his yearning to understand the scriptures and the quest for self realisation became intense. His resolve to halt the cycle of reincarnation through the pursuits of truth became absolute. His humble, open minded and impartial approach made him study many doctrines of various philosophies. Within the hierarchy of Shri Saubhagbhai were the self realized saints such as Kalidasbhai, Chhotabhai who were living in Sayla. The genuine seeker in Bapuji enabled him to recognize them. He took refuge in Revered Chhotabhai Desai who along with others moulded and built his character. 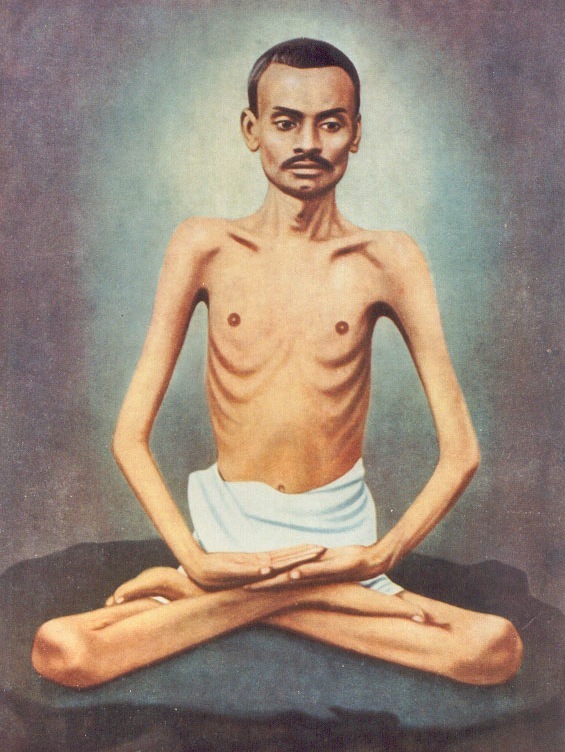 Bapuji’s relentless and righteous pursuits made him worthy and he was graced with meditative technique. Forbearance and forgiveness, self restraint and determination, honesty and humility, purity and sincerity, detachment and stillness of mind were few of those many virtues which helped Bapuji to achieve right perception and made him realize his true self. Those poems had played a vital role in Bapuji’s spiritual evolution and listening to them, they will infuse faith, courage, devotion and love of God in our hearts too. Bapuji had copied those poems in his personal diary and often in his discourses shared many insights from them. Today Bapuji may not be physically present but as virtues he still continues living in P.P.Bhaishree. To discover one’s universal reality, to uncover one’s transcendental divinity let us immerse ourselves in those truth unveiling poems that bring pure joy to the soul.